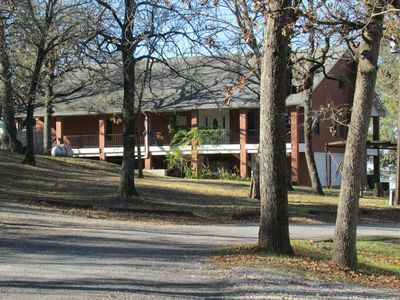 An amazing spot on Lake Limestone, this wonderful home is located at Lake Limestone Campground and Marina and is only a 2 hour drive from Dallas, Austin, and Houston making it the perfect gathering spot for family and friends spread throughout the state. The home features 3 bedrooms and 2 bathrooms with a fully stocked kitchen. If you don't feel like eating in, the LLCM Grill located next door has you covered. Enjoy all the marina has to offer including the restaurant, grocery store, boat ramp and fueling, kayaks, fishing pier, swimming beach, campground events, and if the wind is blowing, inquire about the owners availability to take you out on a 20 ft. racing catamaran. 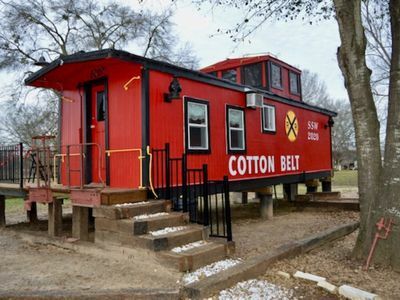 The home is 1,600 square feet with a king size bed in the master, full size bed in the second bedroom, and two twin beds in the third bedroom. The kitchen is stocked with stainless steel appliances and cookware to make yourself feel at home. Enjoy your money coffee on a large patio overlooking the lake and the sunsets are absolutely amazing. The home has wifi and cable TV as well. Guests have full use of the boat launch at no additional cost. If you are looking for hidden jewel, with both the slower pace of the country and all of the emenities, this is your place. We are in the heart of Texas between I-35 and I-45. If you are coming from I-45, we are 30 minutes from Centerville and just an hour east of Waco coming from I-35. Lake traffic on Limestone is lighter than some other central Texas lakes, which makes this a fisherman's lake and big fish!